Yesterday, in Alachua County, near Gainesville, Florida, a school bus driver lost control on a wet dirt road and crashed into a tree. Five children suffered minor personal injuries from flying glass. The driver was cited for driving too fast for the conditions. Whether bussing children to school is handled directly by county government or contracted out to private companies, it is obviously of the utmost importance that drivers act with care. Most bus drivers are very safe and have good driving records. However, sometimes unsafe bus drivers are hired and the results can be catastrophic. 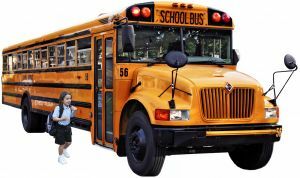 In Florida, when a county operates school buses, there is a $100,000.00 liability limit for personal injury to a child if the driver is negligent. When a county, such as Duval County, Jacksonville, contracts with private companies to operate the bussing system, there is no such limit. If you have any questions about a vehicle accident involving personal injury to a child, please contact our Jacksonville injury attorneys for a free consultation.